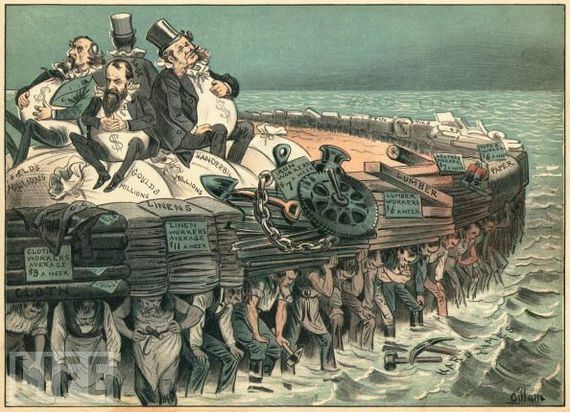 Wealth Inequality: Trickle-Down or a Sinking Ship? Three makes a pattern so, with inequality at the top of the news - be it about champagne wars at the House of Lords or the inherent privilege of white males on the streets of America - it is time to have a conversation about the difference between privilege and patronage. Three times in as many months someone in the media has compared yachts to floating, economic stimulus packages for the struggling economy. Three makes a pattern so, with inequality at the top of the news - be it about champagne wars at the House of Lords or the inherent privilege of white males on the streets of America - it is time to have a conversation about the difference between privilege and patronage. 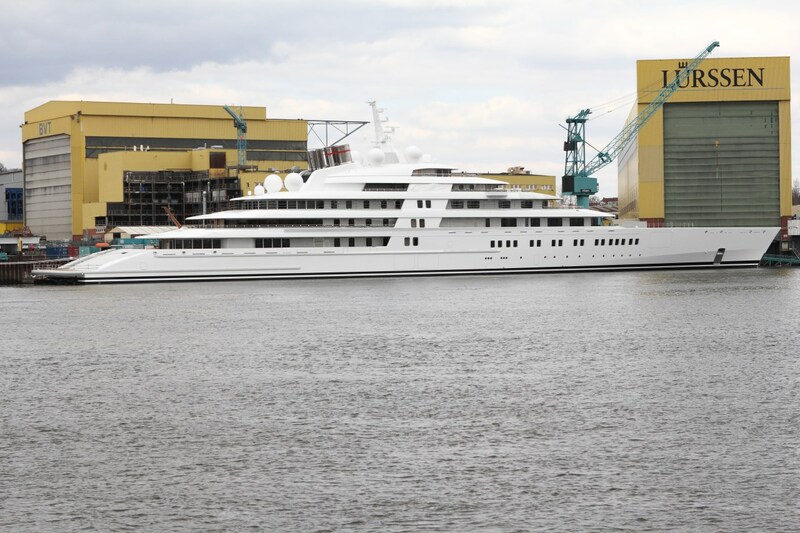 First, there was the New York Times article about Dennis M. Jones, a pharmaceuticals billionaire, whose commission of the 164-foot D'Natalin IV is said to have saved the venerable Christensen Yachts shipyard from going under. "The $34 million he paid for it," the article said, "was equal to the $34 million he had donated to charity since 2000." 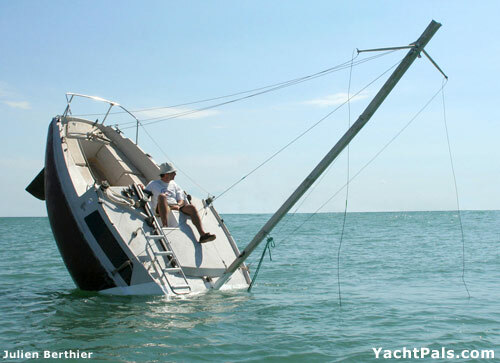 Next, was a report by yachtvid.com about the Baden, a $10 million 90-footer that sank as it was being launched. Lamenting the loss of the boat, the narrator says, "When that boat comes into your town, think of all those taxi rides and theaters and restaurants, grocery store bills, fuel bills, services they hire from the local community," that will now go unpaid for, before going on to ask our support for the yachting industry. Last but not least was Peter Lürssen, CEO of Lürssen Yachts, talking about the 600-foot, $600 million Azzam, built for Sheikh Khalifa, the Emir of Abu Dhabi. Noting that building the largest yacht in the world required over 6 million man-hours to build, creating employment for some 4,000 families, Lürssen says,"yacht owners shouldn't be criticized, but they actually should be complimented and we should be grateful for them." I have nothing against the rich. I am one of them. They should be able to spend their money however they please. Those less fortunate than I would certainly look askance at some of my lifestyle choices and, yes, had I even more money, I would buy a yacht, sail away and you would never hear from me again. But while getting paid to build and service a yacht is certainly better than unemployment, I draw the line at gratitude. Surely the head of one of the world's oil-richest countries or a pharmaceuticals mogul can do something other than build themselves a giant toy in order to bring us to our knees with thanks. It is surprising to hear Lürssen, a wealthy CEO and heir to a century-old family business, reduce himself to the level of an obsequious servant, grateful for crumbs off the king's table. Sheikh Khalifa could not have built his yacht if it were not for the individuals who invest their lifetimes to build the skills and talent necessary to do the jobs that need doing. For that matter, no captain of industry who points to job creation as their social contribution could have built their fortune without their employees. This is not gift giving or philanthropy or social responsibility of any sort. It is a simple market transaction. To suggest otherwise is a perversion of trickle-down economics that would make even Ronald Reagan's head spin. Questionable as trickle-down has revealed itself to be in the past decade, its backbone is not spending and consumption. It is the initiative, investment and innovation that create value for society. This coming spring, the few dozen occupants of 432 Park Avenue, North America's third-tallest building, will begin to move in. They will furnish their palatial apartments against a global backdrop of deflationary fears, central banks in perpetual crisis mode, massive unemployment, and stubbornly stagnating wage growth for 99% of the world's population. In previous generations, when towers of this scale were erected, they were monuments to working. 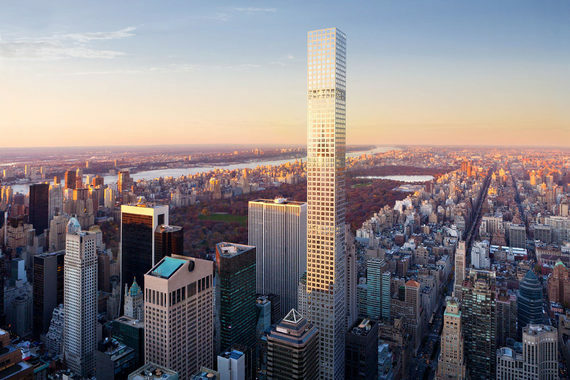 432 Park, unlike the Chrysler Building, the World Financial Center, and the Empire State Building, is a monument to owning. When a magazine called Fortune gets grossed out by materialist excess, it is time to sit up and pay attention. Rousseau's The Social Contract neatly describes how power and privilege are the rewards for patronage: luxury in return for leadership. But what we are seeing today is not patronage, just patronizing. It highlights the lack of leadership that has caused the public to lose faith in government and big business, in politicians and CEO's. Levels of trust in society are at an all-time low, despite a digital revolution that has made the Establishment more transparent and open to scrutiny than even before. It has revealed the embarrassing lapses in judgment, the atrophied values, and the deep chasm between those in power and those they serve. From here it is just a short hop back to Dickensian Britain, the plantation South and medieval feudalism, where the people serve, are provided for and protected at the pleasure of their Lord and Master. Some 300 years after the Enlightenment, 150 since the Emancipation Proclamation and a century since the Gilded Age ended in a blood-soaked mess, we should be long past this kind of thinking. But perhaps we want to be patronized. Perhaps we want the excuse of an out of touch, self-serving elite to absolve us of responsibility for our own excesses. 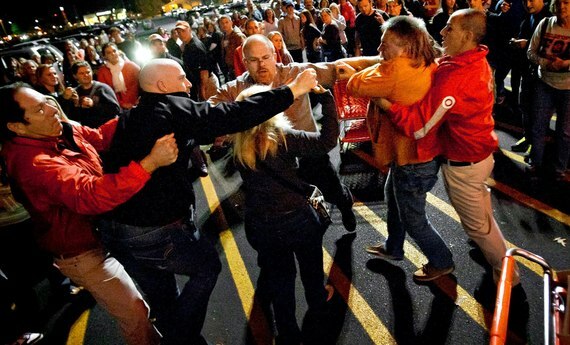 If our leaders are greedy, Christmas shoppers can feel vindicated, acting like a looting mob, willing to kill for flat screen TV's and other petty luxuries, bolstering in particular the fortunes of stores that force their employees to work on a holiday under the threat of firing, and that hold food drives for workers rather than paying them a decent wage. And we pass the blame for our undoing onto scapegoats even lower down, such as cheap foreign laborers, or the welfare classes, or both - immigrants! - and elect tough-talking politicians who cut social services and close the borders, but keep down the minimum wage, increase taxes on the middle class and grant further privileges to corporations and the wealthy. The OECD reported in December that growing wealth inequality has been dragging down economic growth for decades. Pew Research recently announced that the income gap between American upper- and middle-class households is the biggest on record. For the first time, we are faced with a generation that may be less prosperous than their parents. And the Federal Reserve all but admitted that the U.S. has become an oligarchy. But the problem is not the elites. They are just doing what we all aspire to and reaping the rewards of our spending. The problem is that we are thanking them for their luxuries rather than demanding their leadership. Instead of wealth, what trickles down is an erosion of values that further reinforces the culture of privilege with every passing day. And rather than working to reverse the dynamic, we are scrambling to get aboard a sinking ship.